As a child I played around a lot outside. My mother would send me off to summer camps where we wandered around wetlands or examined various insects. Playing with neighborhood friends usually entailed exploring the seemingly magical and mysterious wooded areas that bordered our houses. Inevitably, I would come back with stained jeans, unruly hair, and dirty hands (rather the status quo before age 12). Now, I’ve often wondered whether this freedom of interaction with the out-of-doors as a child has shaped the trajectory of education and life choices thereafter, or if the types of activities as a child were shaped by my own interests and personality (nurture vs. nature?). This question, and various permutations of it, have concerned researchers since shortly after the birth of the environmental movement (seminal study around 1980). One study (and likely many others) found strong links between natural places and outdoor activities during childhood to positive environmental stances as adults. Another study attributes part, but not all, of adult environmental beliefs to formative childhood experience. And not surprisingly, a slightly different study found that childhood interactions with nature (whether in an urban setting or otherwise) influence the adult’s inclination toward gardening! And it takes a long time to go away; handwashing only goes so far. But that’s what is so amazing. Once you’ve learned to embrace the dirt; once you’ve come to terms with the fact that carrots grow in the ground; once you’ve realized that soil* is really what feeds and clothes us; then the dirt under your fingernails becomes a symbol of triumph, a thing of beauty. *Note: my favourite soil science professor would never forgive me for failing to distinguish between ‘dirt’ and ‘soil’. The latter refers more to the microcosm that exists belowground - the ecosystem of soil biota that carries out nutrient cycling processes. It is a complex living organism. 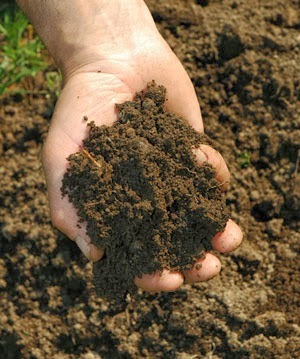 Dirt, as such, can be found under my fingernails many a Saturday afternoon!